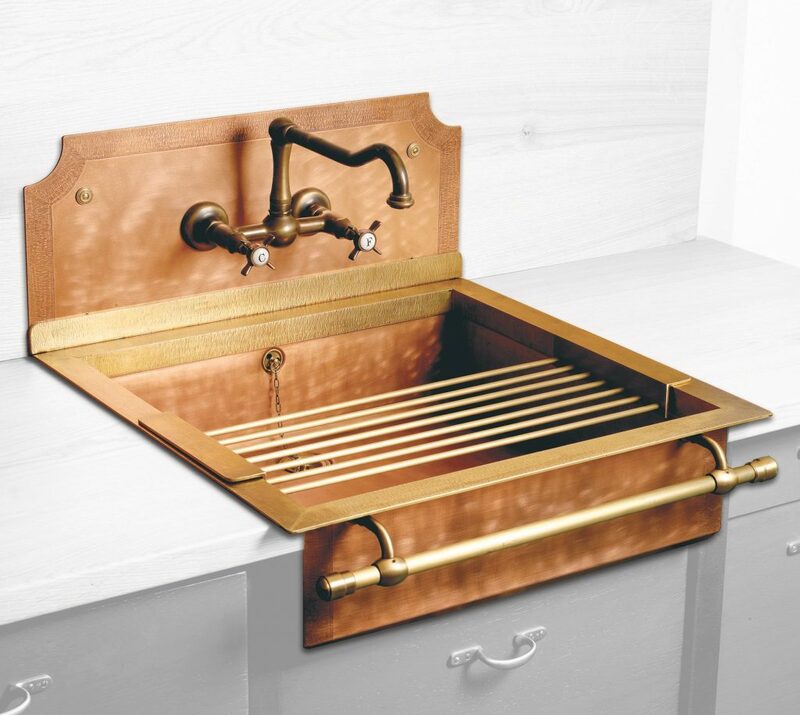 We are on the cusp of a new Arts and Crafts period led by new craftsmen and the circumstances of its coming are remarkably similar to the original. Arts and Crafts (version 1.0) started in the UK in around 1880 and it spread across Europe rapidly. It followed a period of huge change in the UK, a period in which industrialisation totally changed the lives or ordinary working people. The arts and crafts movement poured scorn on the mechanisation and materials of industry, and it was in many ways a cry for help. This new movement focussed on design, on craft and on traditional skills. The glue that held it together was idealism and it established a new set of principles for living and working. Fast forward 140 years to today, and society is in a similar place. We have followed twenty years of extraordinary technological change, both in manufacturing and computing, and there is an underlying feeling that society is yearning to get back to working with its hands. People are suffering from TMT (Too Much Tech). In the same way that the burgeoning Victorian industrial mass manufacturing methods placed limits on design (the design of cast iron bridges were controlled by the way the parts could be manufactured), so too have modern automated manufacturing methods steered high street design of today. 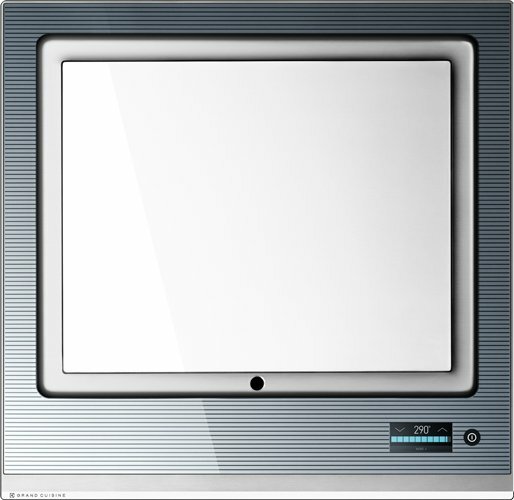 Modern furniture looks the way it does (often bland) because its design is restricted by the functionality of the machinery that makes it at scale. 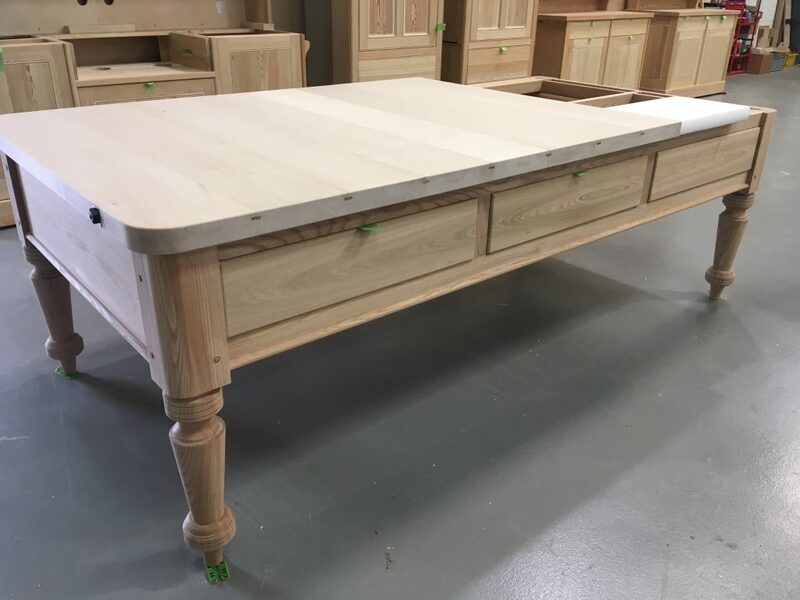 To overcome this technical constraint, the furniture is marketed slickly and heavily using budgets made available through the large profits generated. The consumer is none the wiser. If the tail is manufacturing, design is the dog, and both then and now, the tail has been wagging the dog. 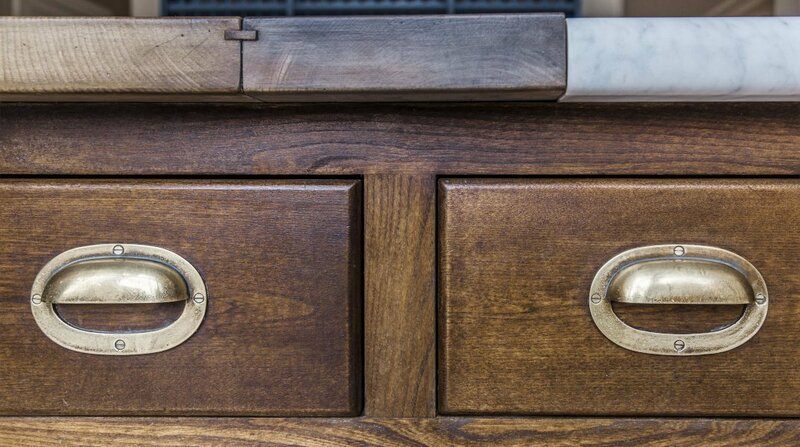 The new craftsmen are fighting against this and it’s producing wonderful furniture rooted in rooted in craftsmanship and narrative. Shows the work of Artichoke craftsmen for a grand Georgian library. 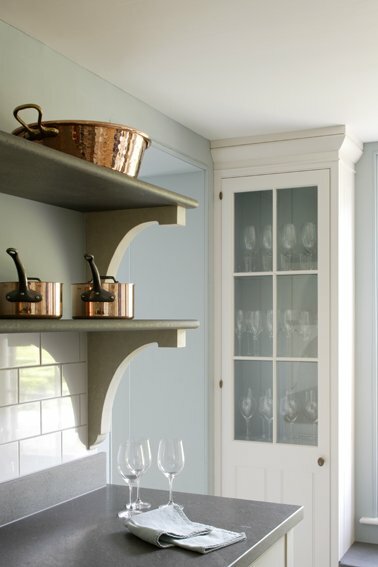 Take bespoke kitchen and architectural joinery design and craftsmanship, a field we specialise in. 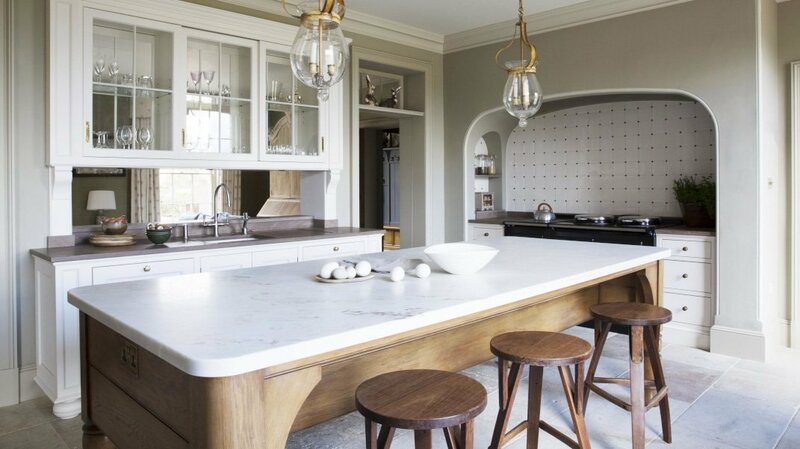 For the last 10 years, interiors magazines have been groaning with mass produced ranges of pre-designed kitchen furniture. 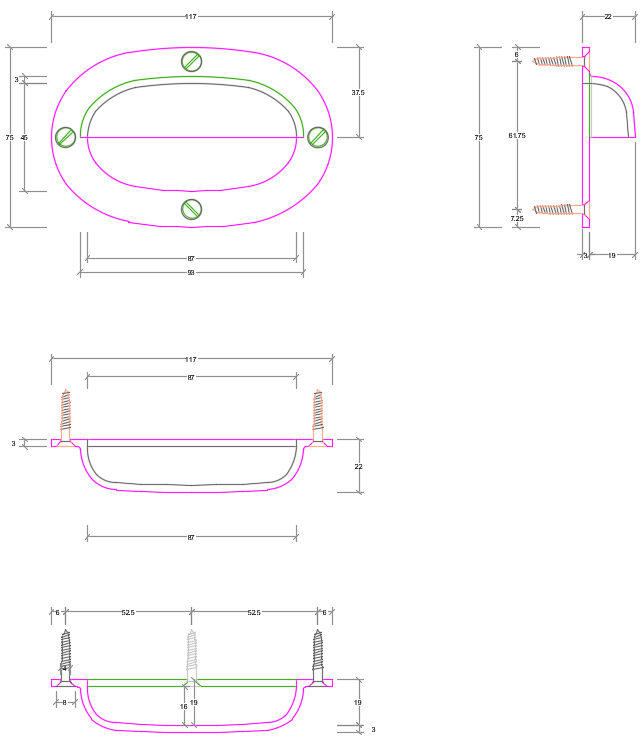 These products are pre-designed so rooms can be laid out rapidly, and the furniture is designed in such a way that it can be mass produced, allowing manufacturers and kitchen retailers to generate significant margins through economies of scale. Their motivations are financial in much the same way as were the motivations of the Victorian industrial manufacturer. It is an approach which has made many people very rich, but we would argue an approach that will not continue to delight future generations. It is a temporary approach, and one we have written about before. A small group of designers and craftsmen, ourselves included, have never subscribed to this approach. 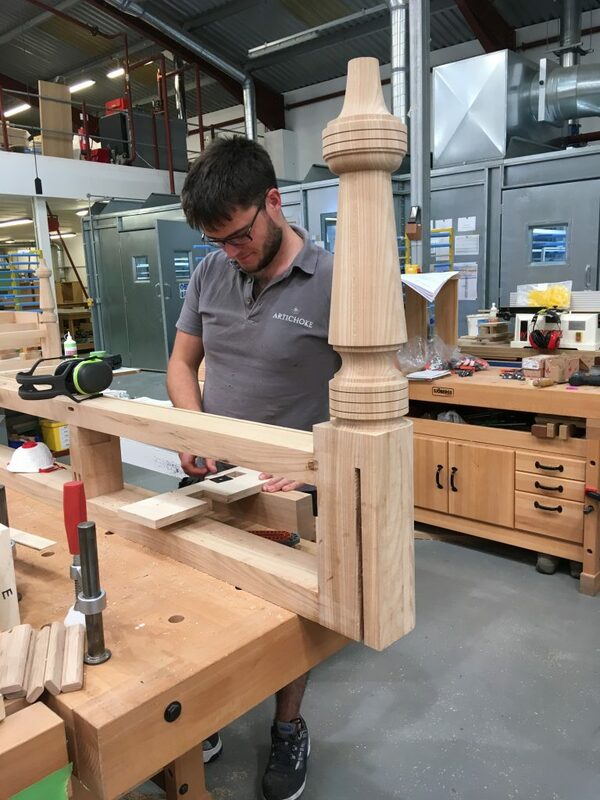 Our company vision is that great design and craftsmanship will be thriving in 100 years, and if we are to create Britain’s future heritage today we have to design and make furniture which will sit appropriately and elegantly into its surrounding architecture for centuries. This simply cannot be achieved with automated processes which constrain design. Each room we design requires its own very personal touch. 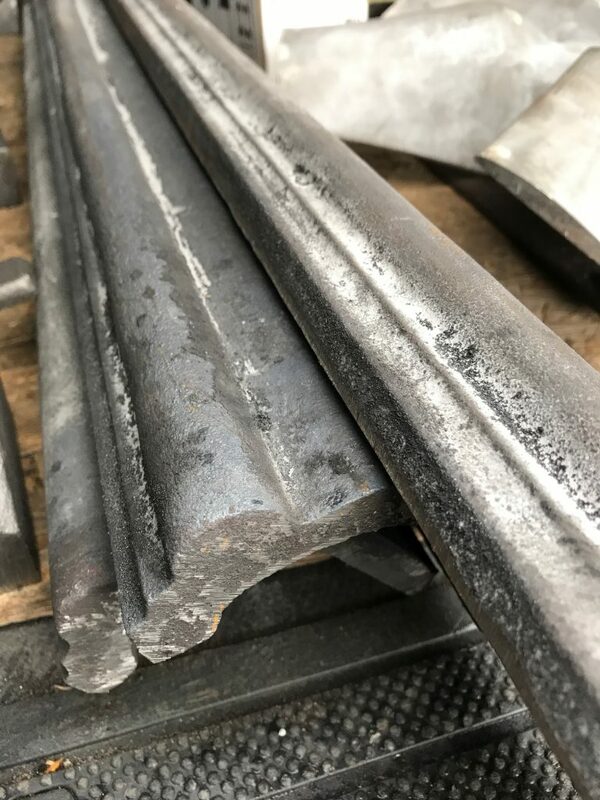 Each moulding and the materials we chose for each project have to be intensively scrutinized to ensure they will still look as good today as they will for the next generation. This is why Artichoke only makes around 20 kitchens a year; you cannot mass produce one offs. A recent article in the Spectator backs this up. 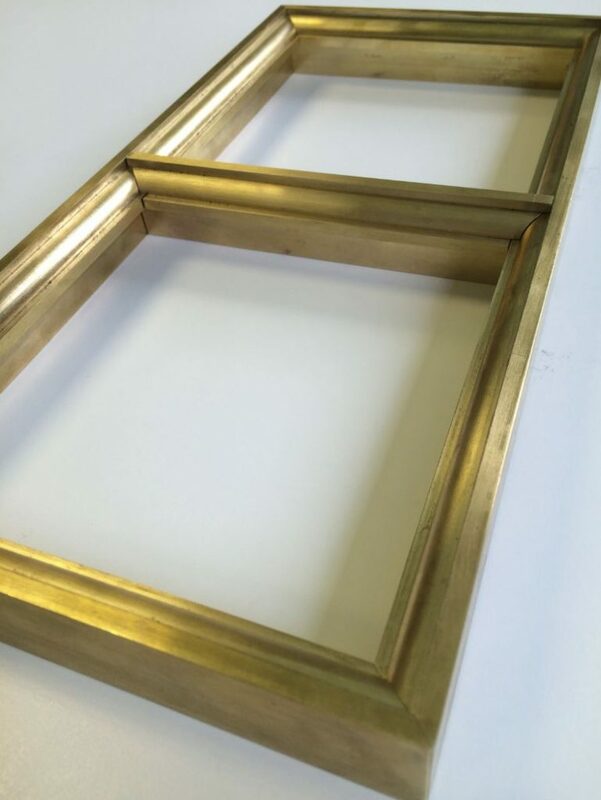 The piece focuses on the work of George Saumarez Smith, a partner at classical architects ADAM Architecture. The premise of the piece is that while classicism never went away, it did become unfashionable for a period before now coming back. That’s the great thing about classicism. You never know what you’ve got until it’s gone, and eventually it always comes back. 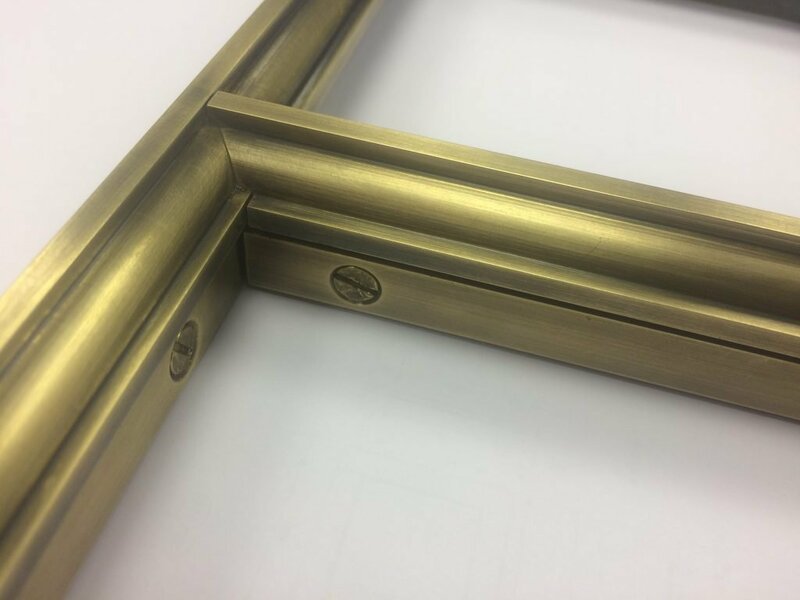 You can only achieve the quality that authentic classical and traditional design demands by designing and making it properly in the first place; with love, by hand, and with an obsessively focussed attention to detail. And herein lies the problem. 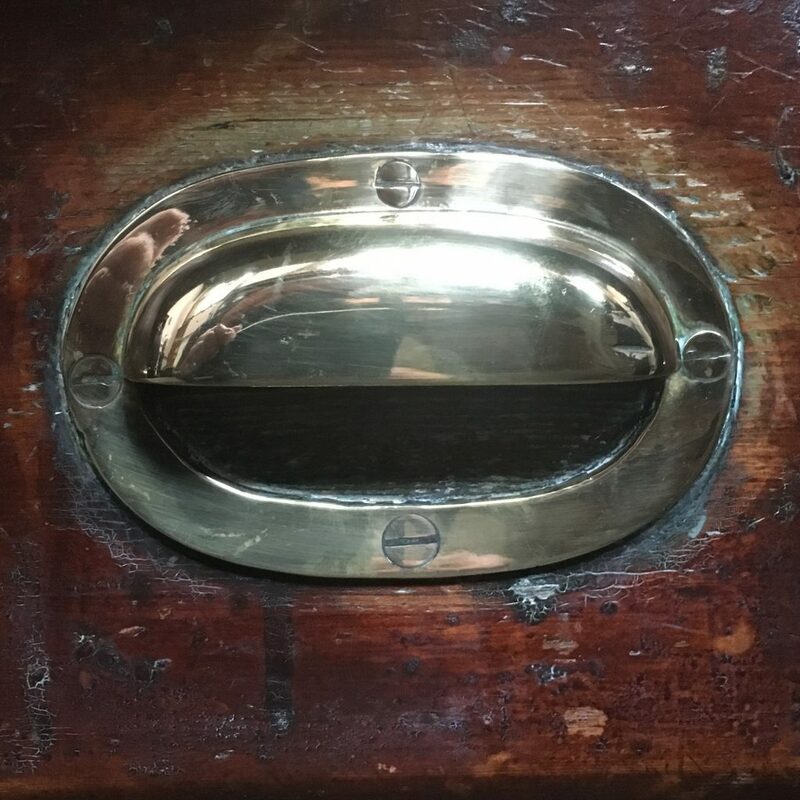 To create the level of detail needed to pull off a fine classical or traditional interior requires complete dedication to the craft and a rigorous focus on the detail; and this doesn’t sit well with shareholders looking to make a fast buck. So they turn to automation. 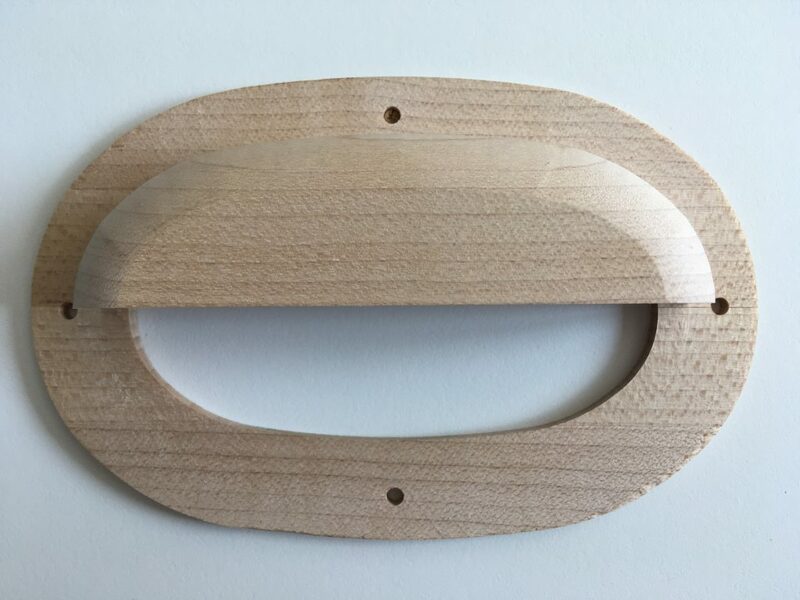 How many public craft based design or cabinet makers do you know? 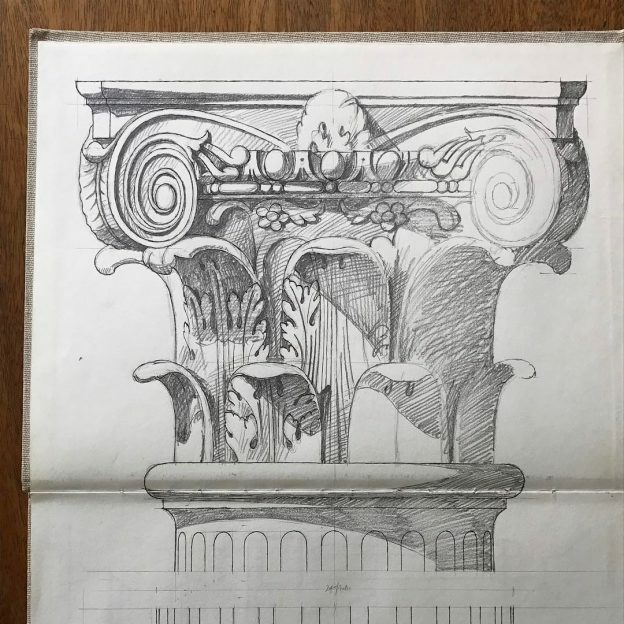 A sketch by George Saumarez-Smith shows the capital of a Corinthian column. 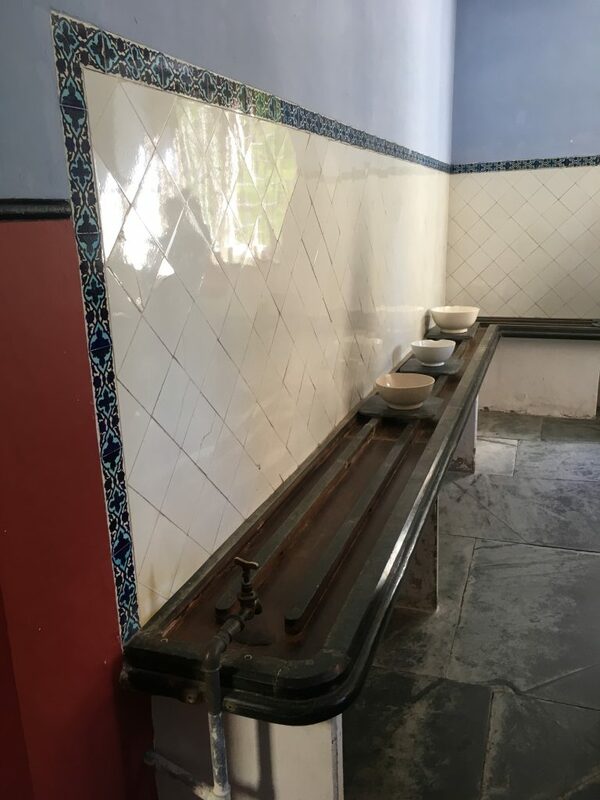 To make this well it needs to be made by hand. As designers we often take inspiration from the great periods of classical English architecture, from early Georgian to Edwardian. 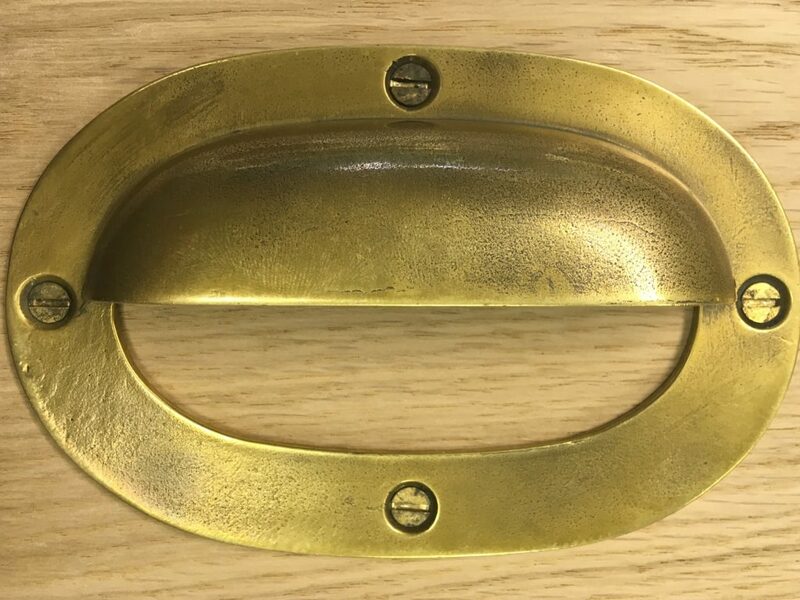 We take a particular interest in period house detail, materials and finishes because they are the ones we love and admire the most. 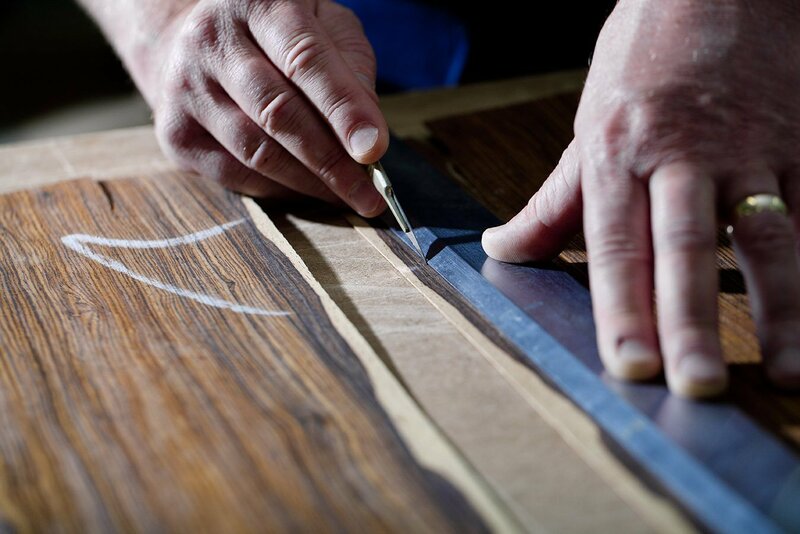 They are almost always the ones created by hand, with love. As craftsmen, we make furniture with integrity using traditional skills, not because we are stuck in the past, but because these methods have yet to be improved on by modern technology. 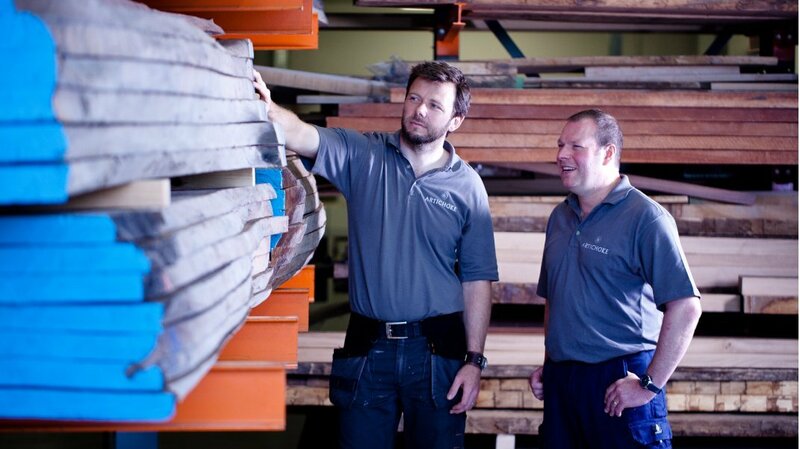 Naturally we embrace technologies which make us more efficient, but when it comes to the integrity of our furniture, we do not believe in taking short cuts. Ever. 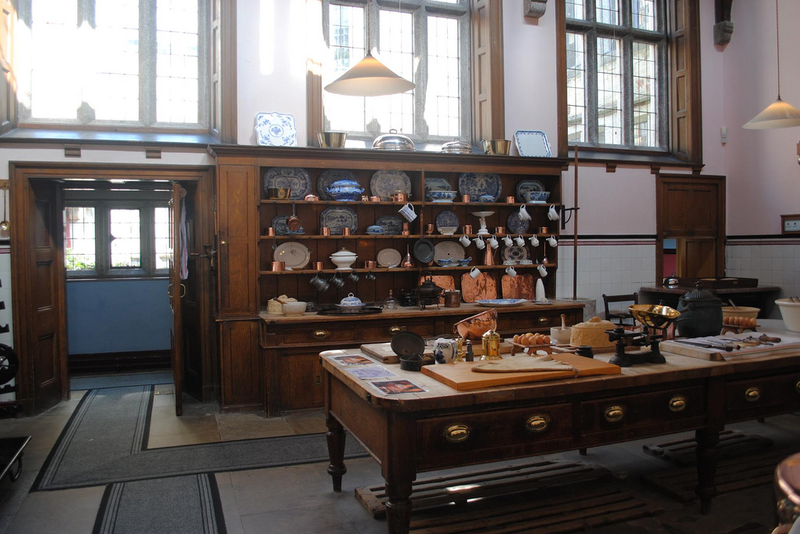 At Artichoke, we’ve always been arts and crafts; creating Britain’s future heritage cannot be achieved any other way. Welcome to Arts and Crafts V.02. We hope you enjoy the ride. 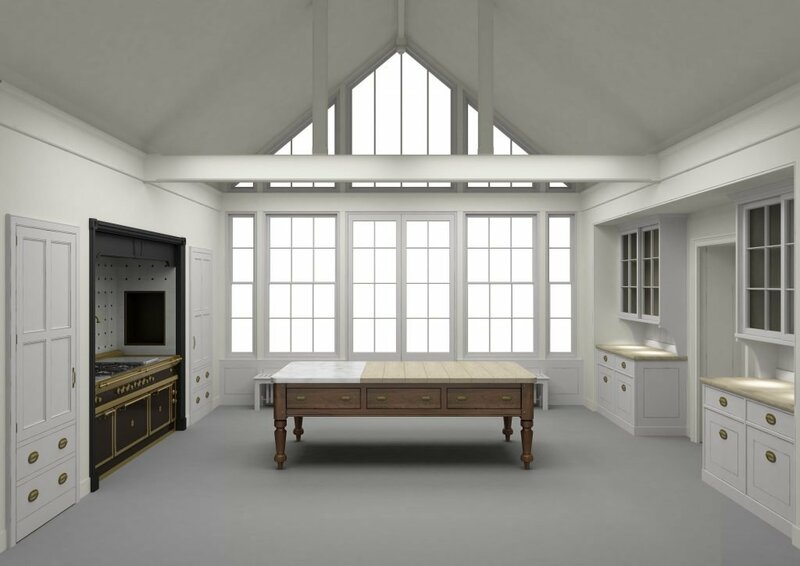 Artichoke is regularly asked to design bespoke kitchens in listed buildings. 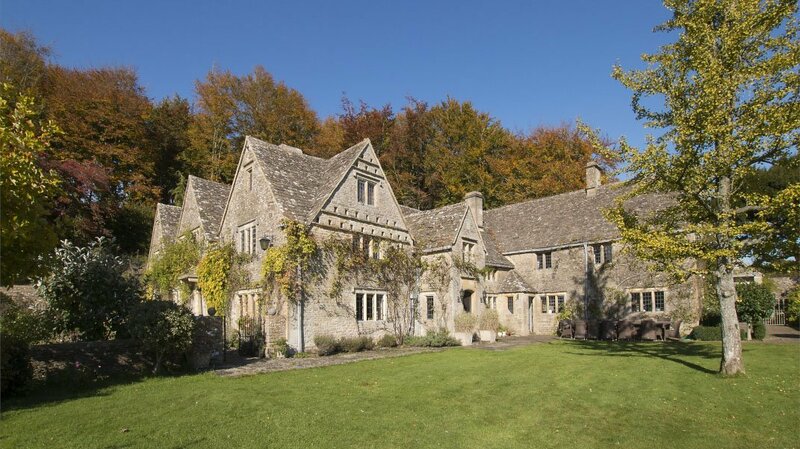 Quite often these listed buildings have been purchased by new owners who are unclear about the listing process, what it means, and how it effects them. 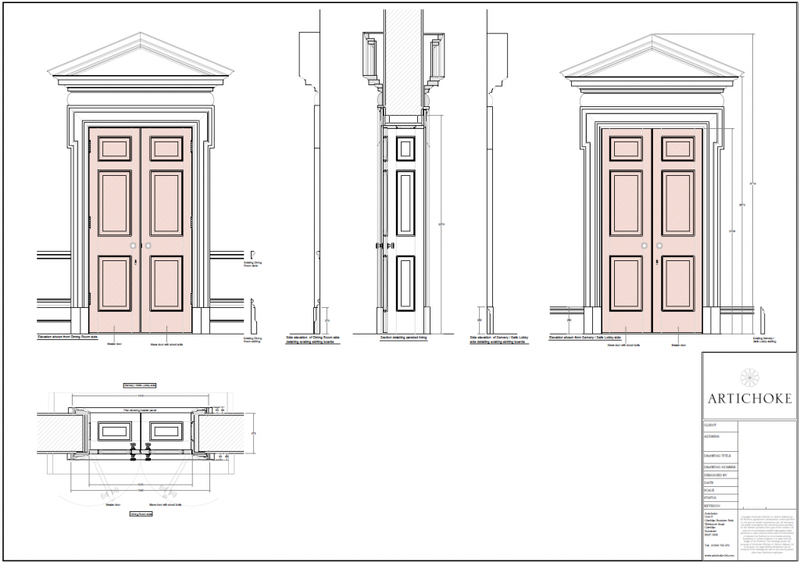 The rules were altered by HM Customs and Excise in 2012 and this short article will help explain what the listing process means and how it effects the kitchen in your listed buildings project. 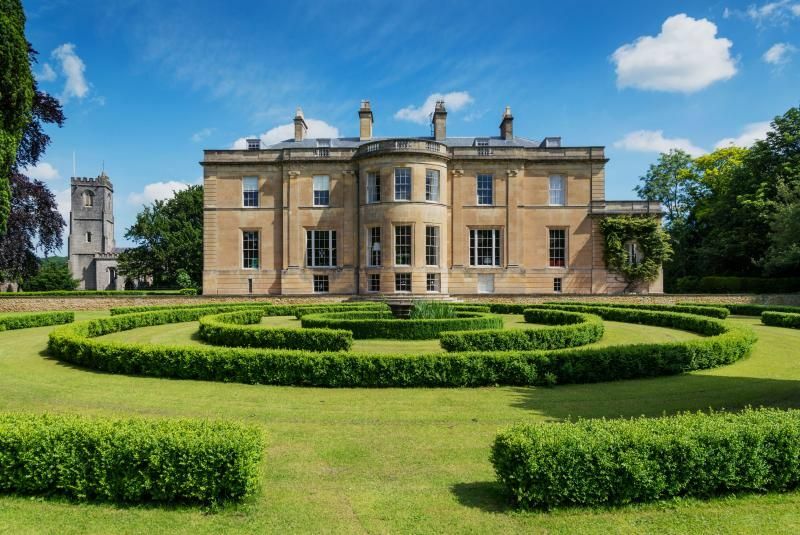 These are of deemed to be of exceptional interest and sometimes considered to be internationally important; only 2.5% of listed buildings are Grade I. In these buildings it is typical for English Heritage to be adamant that the existing interior detail must remain unaltered and untouched (including architectural joinery, light switches, and plaster work). 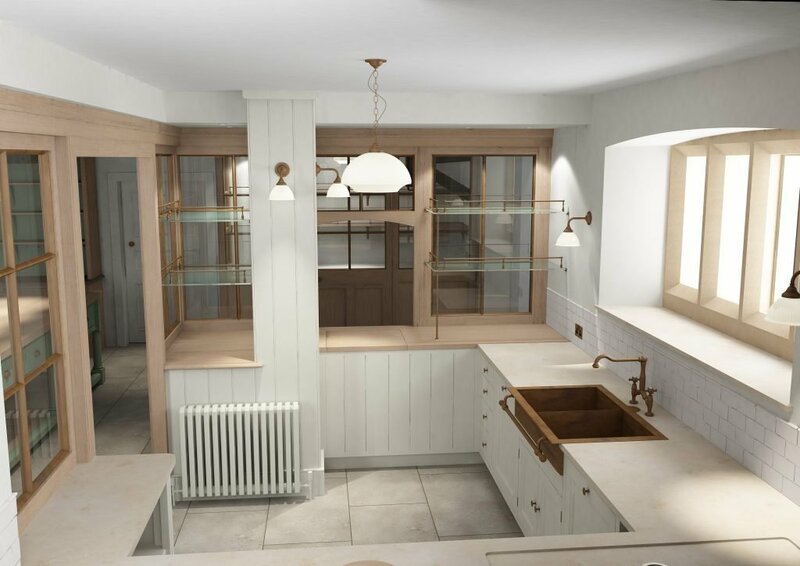 Designing bespoke kitchens into Grade 1 buildings can be full of issues, usually involving extraction routes, methods of fixing into the existing fabric of the building (which can often be made up of soft lime mortar and rubble walls), interference of the existing joinery and so on. 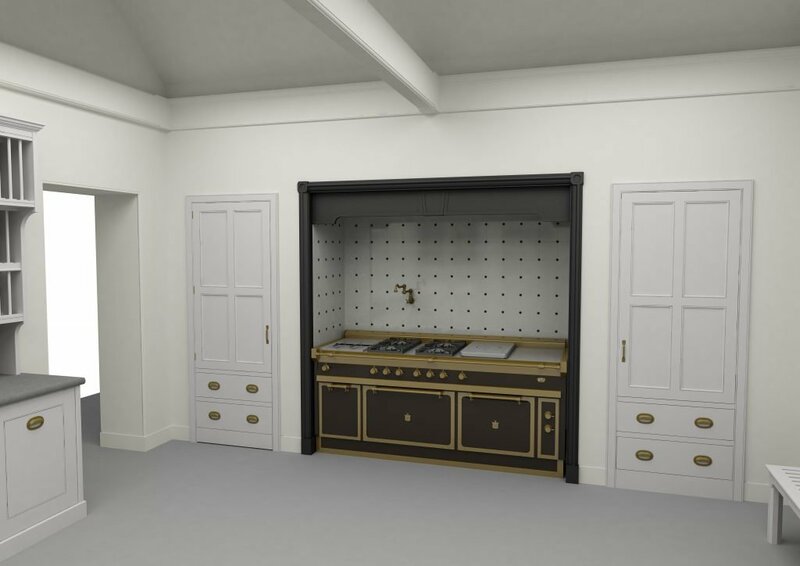 Artichoke was recently asked to design a kitchen for the West Apartment at Burley-on-the-Hill which was built in 1690 in the style of Sir Christopher Wren. In 1909, the West Wing was almost completely destroyed by fire and the joinery inside this part of the house has a very Edwardian feel. 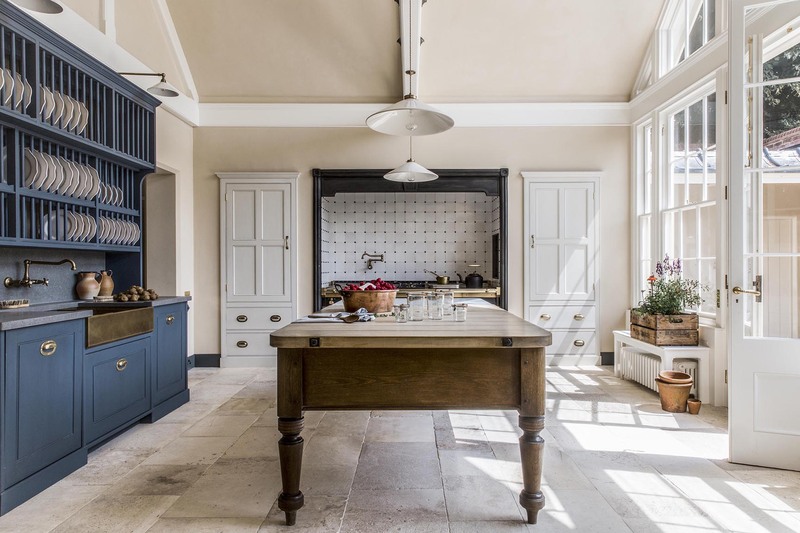 Despite the fact that it is modern in comparison to the rest of the house, it is still Grade 1 listed and the panelling in the kitchen could not be touched in any way. 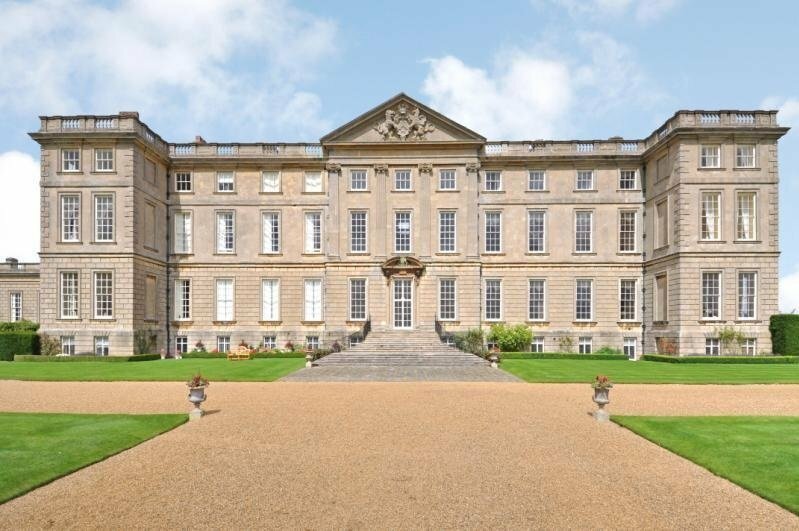 These are deemed by English Heritage as particularly important buildings of more than special interest (Grade II); around 5.5% of listed buildings are Grade II*. There are many reasons why a building can be awarded Grade II* status. It maybe that they are houses that while not particularly grand, are particularly important examples of local vernacular and they are in essence “Grade II but of particular significance” . 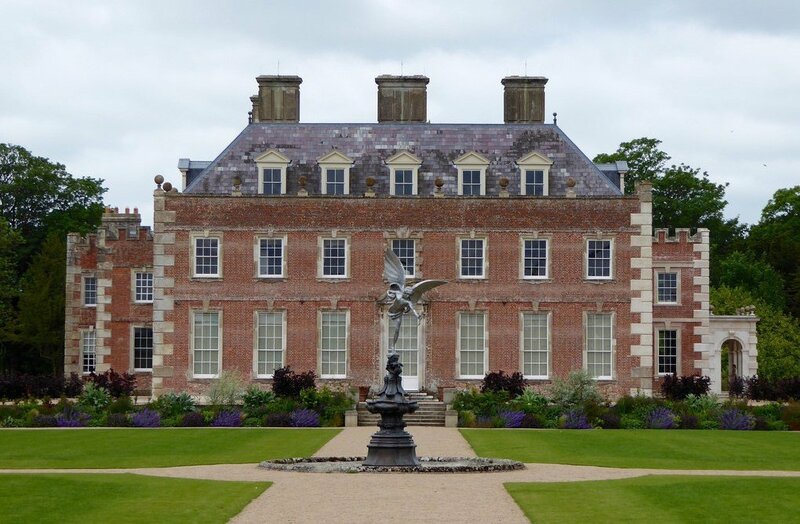 It is likely that a Grade II* house will have a particularly special interior or interior features which will be treated in the same say as Grade 1 features in that English Heritage will not allow them to be touched or altered. Depending on the features and their location, English Heritage can be more relaxed (although not much!) about designing kitchens and furniture into these properties. For instance, it maybe that a farmhouse has a particularly special roof structure which is the reason the house has a II* listing. In this case, English Heritage will be willing to discuss extensions to the house within reason. These are buildings that are considered nationally important and of special interest; 92% of all listed buildings are in this class and it is the most likely grade of listing for a home owner. 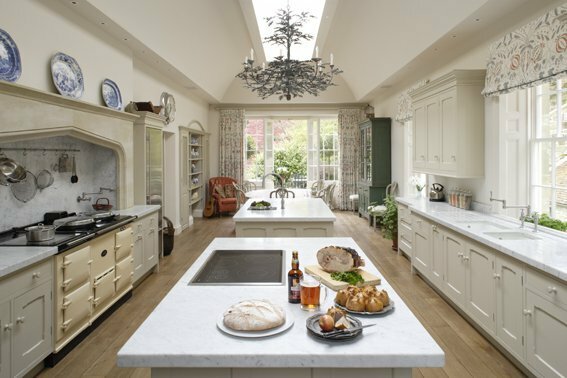 This is a good example of a recent Artichoke bespoke kitchen designed into a Grade II listed building. While permissions for alterations are down to the discretion of the individual listed planning officer, in Artichoke’s experience it is the exterior of the building that they are focused on more. While the interior is still of importance, they are often a little more relaxed. Regardless of the listing of your house, it is important to stress that Listing is not seen a preservation order preventing change. Listing has a reason, and that is to identify the life stages of a building and it’s various characters. Listing does not freeze a building in time, it simply means that listed building consent must be applied for in order to make any changes to that building which might affect its special interest. Listed buildings can be altered, extended and sometimes even demolished within government planning guidance. 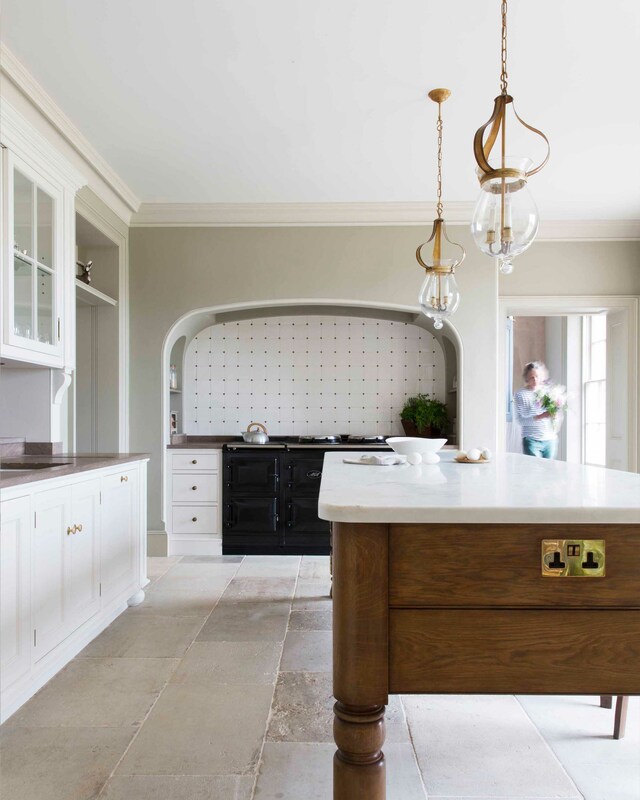 Pre 2012 it used to be the case that a bespoke kitchen built into a new extension of a listed building was zero rated for VAT (or rather the built in/fixed items such as the Aga, furniture and extraction were zero rated). There are still VAT advantages available for work on buildings that have been unoccupied for more than 2 years, for a change of use from commercial to residential use and for a change in the number of individual dwellings within a property – eg splitting a house into flats. Other than that, we’re sorry to say, it’s the full 20%! 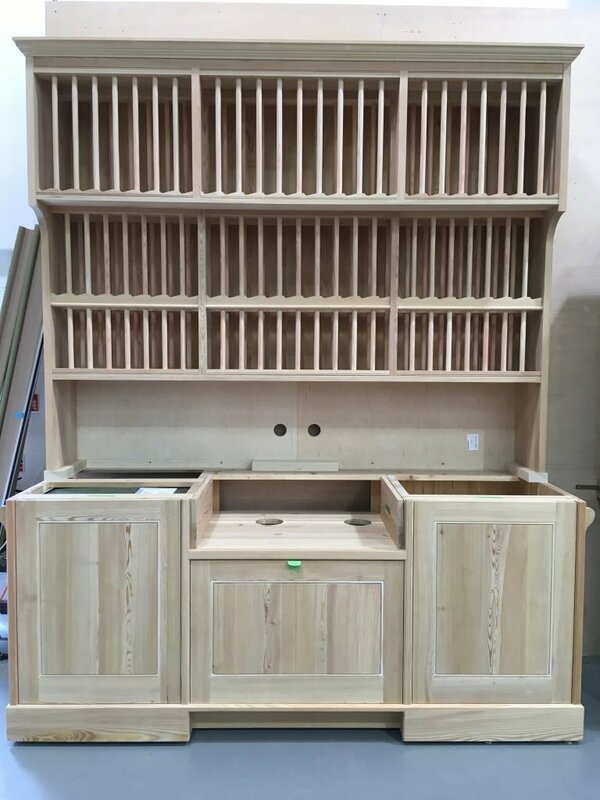 We would caveat the above by stating that we are neither nor lawyers or accountants, but designers of fine bespoke kitchens. For a final adjudication on whether your project could be awarded reduced rate status, please speak with a trained professional! 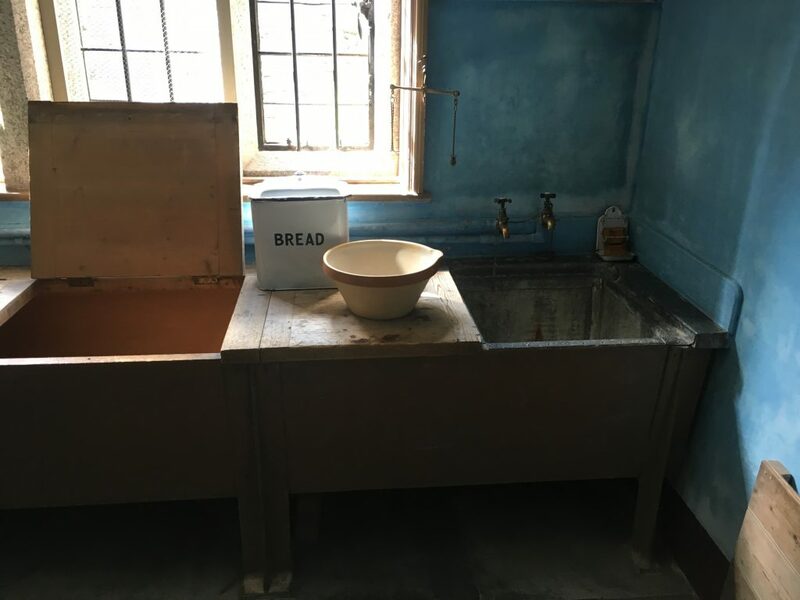 in the past we have found the HMRC team extremely helpful and they do publish a book which we have used to advise our clients ion kitchens in listed buildings. For more information on VAT in listed buildings, you can follow this link VAT in building and construction. Every 15 years or so I become fashionable. My worn jeans and faded blue shirt ensemble becomes the look for that season, and for a brief moment, I’m on trend. The downside is that I live in Somerset, so when everyone’s realised what the trend is here, everyone in London’s wearing something else. As a company, Artichoke also avoids trends. 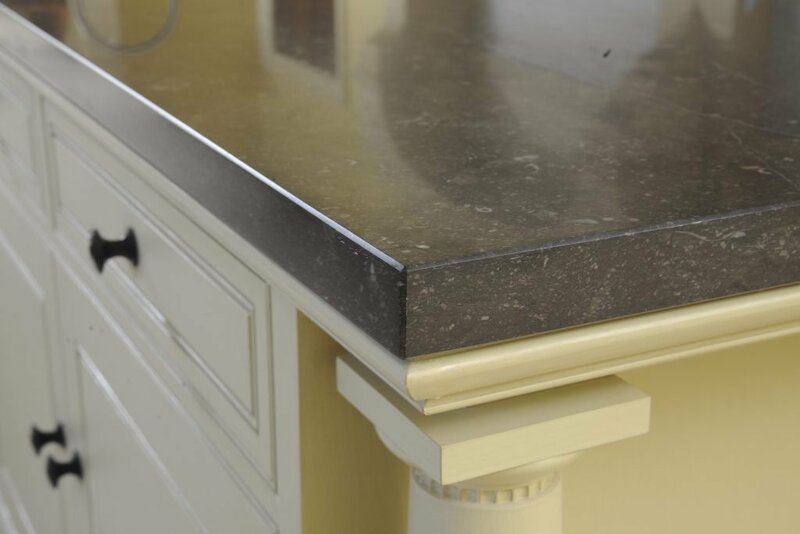 Our kitchen designs are naturally classical. 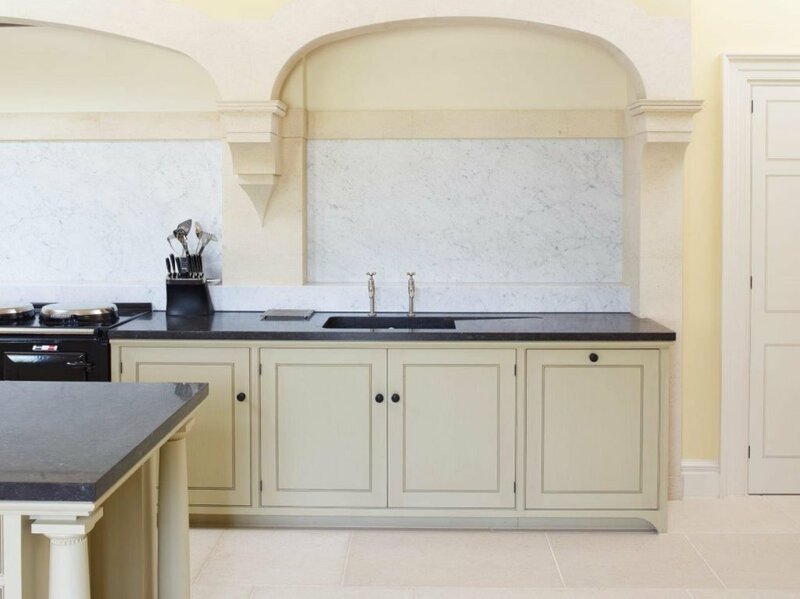 As designers of bespoke kitchens, libraries and principle rooms, we like the elegance that classical order, balance and harmony produces, and as fine cabinet-makers it suits us too. 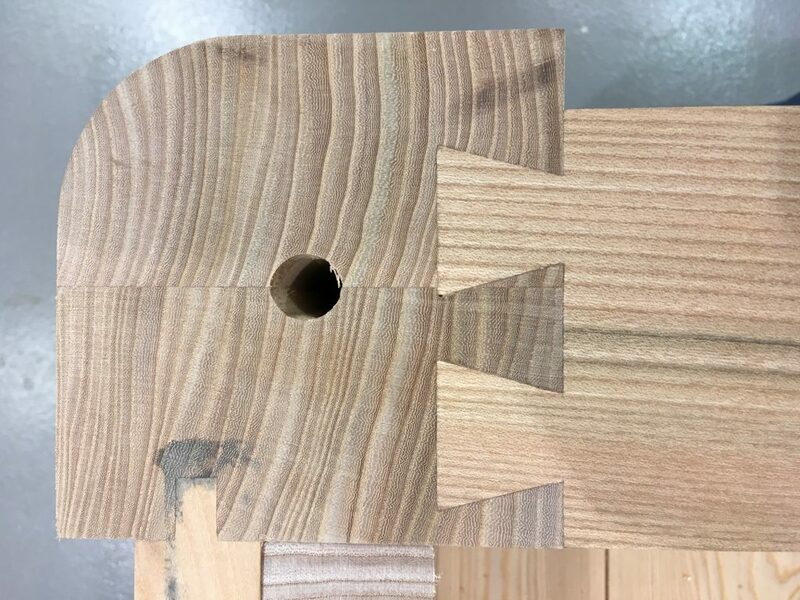 Classical design is steeped in tradition, and we enjoy making furniture in the traditional way, using hardwood that’s joined together with mortice and tenons, mason’s mitres and halving joints. It’s a tried and tested formula. Around 12 years ago we began to notice a significant shift in furniture and room style, particularly among the super-prime homeowner in London. These buyers typically came from countries such as Russia and India where they mostly hid their wealth. Arrival on the safer streets of London gave these wealthy incomers a new found freedom to become more ostentatious, and overt displays of wealth through interior design became a popular route for those wanting to make a mark on their newly acquired English home. The consequences were often terrifying. 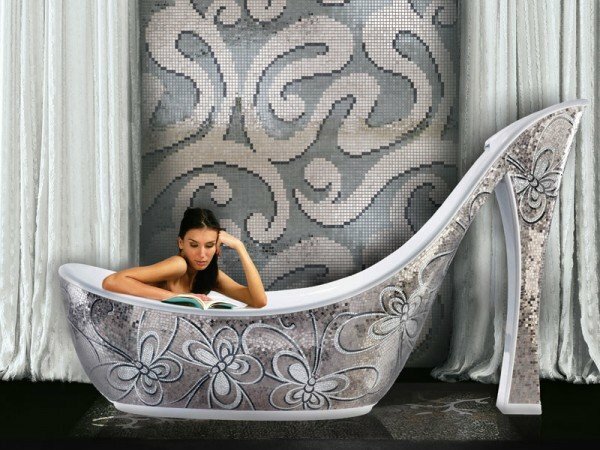 Suddenly clients begun to request furniture made from metal effect spray coated panelling and Swarovski crystal covered shoe shaped baths. Interior design became a heady mixture of luxury hotel interiors crossed with theatre. 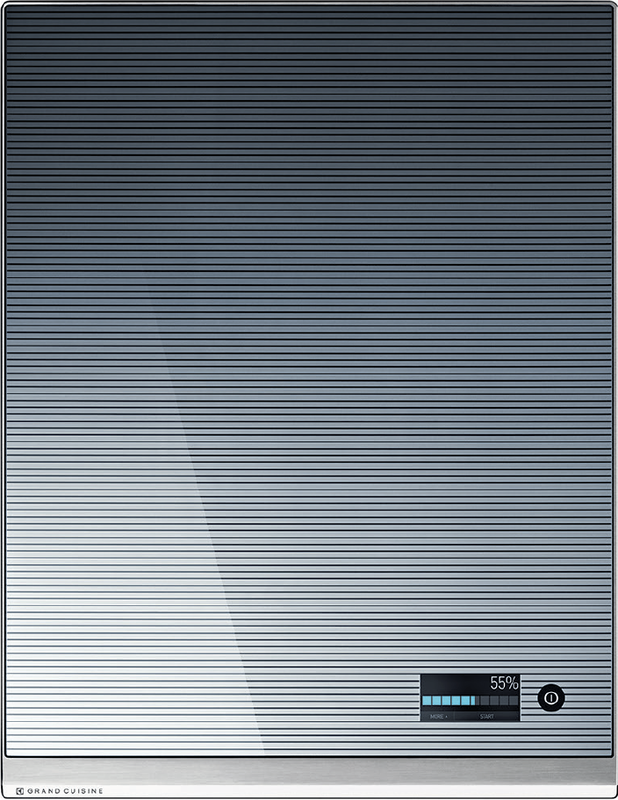 Design became depressingly temporary. 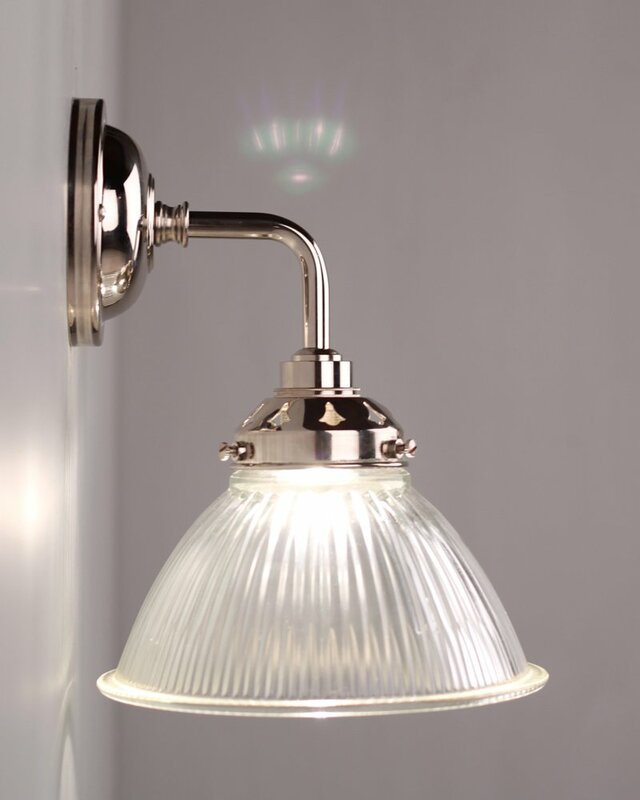 These bouts of interior design bling one-upmanship became more and more extravagant, many in the quest for elegance. In many cases, it failed horrifically. More recently however we’ve noticed a welcome renaissance, with more discerning clients beginning to understand that elegant design is actually best achieved through gentility and restraint. 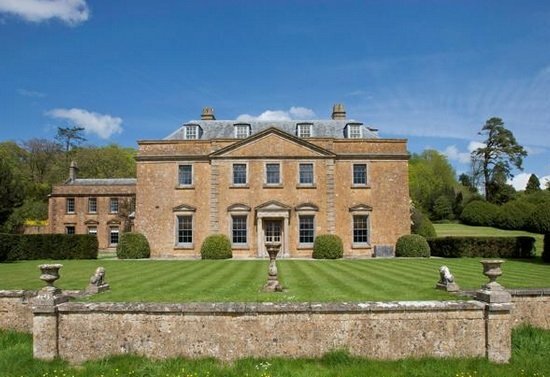 An introduction to the English countryside, its pursuits and architecture has also managed to educate some buyers to the more muted ways of successful English classical furniture and interior design. Wealthy buyers are now beginning to understand that quality English interior design and architecture is about style, grace, understated beauty, and above all, permanence. They are beginning to realise that it does not pay to be on-trend with interiors. 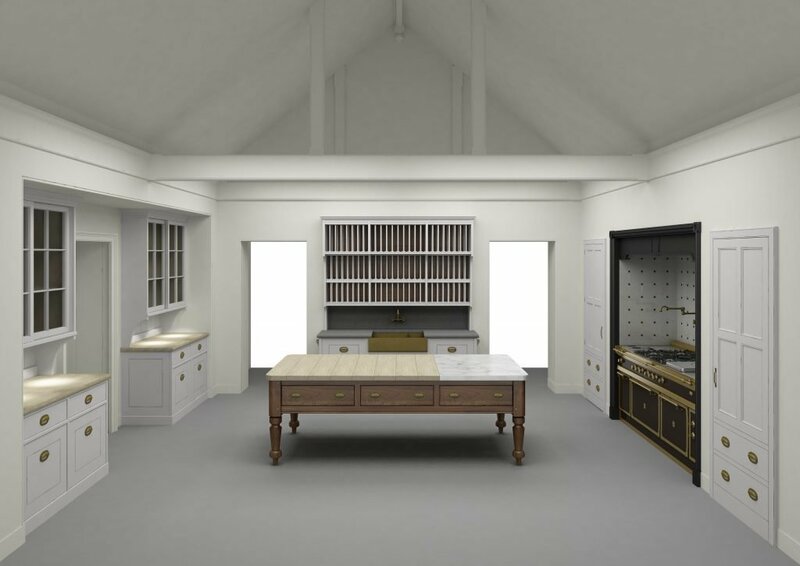 Libraries, kitchens and dressing rooms cannot be replaced every time a new fashion emerges. 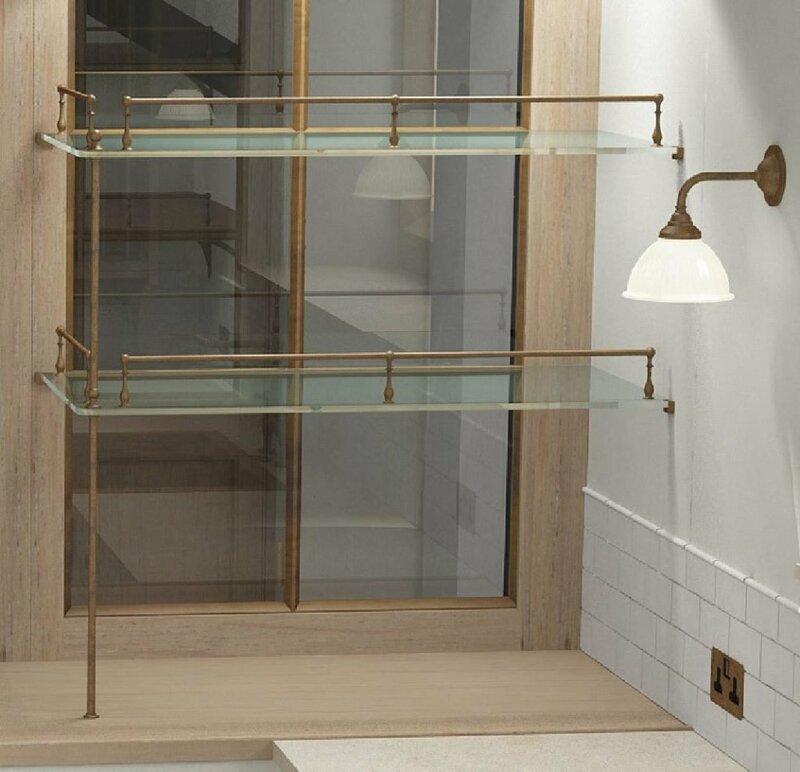 Our clients homes are too important to be treated simply as temporary or artificial stage sets with shelf lives, and the furniture design work we undertake here at Artichoke needs to have this air of permanence before it can be presented to the client. 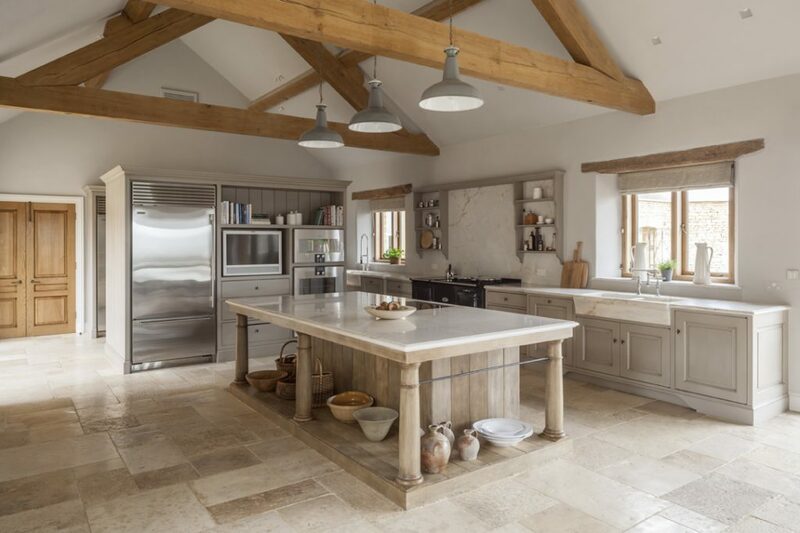 For joinery and fitted furniture to truly deliver an air of permanence, it needs to look comfortable and natural in its surroundings. 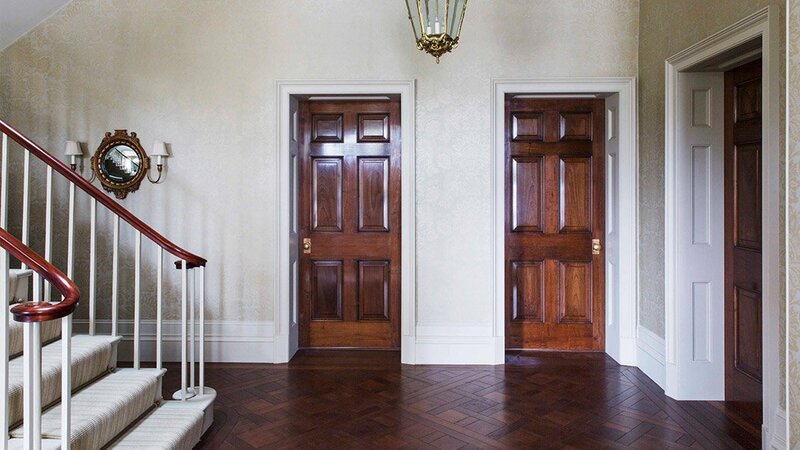 There are many ways of introducing permanence into design, but one sure fire method is to deploy classically inspired design treatments, mouldings, shapes, balance and proportion. 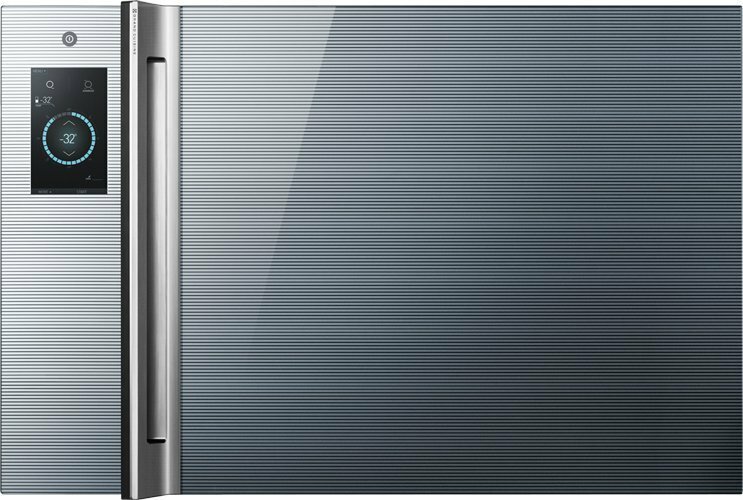 When executed well it delivers breathtaking glamour that far outstrips anything that a bronze and crystal adorned flat door panel will ever deliver in its short lifetime. 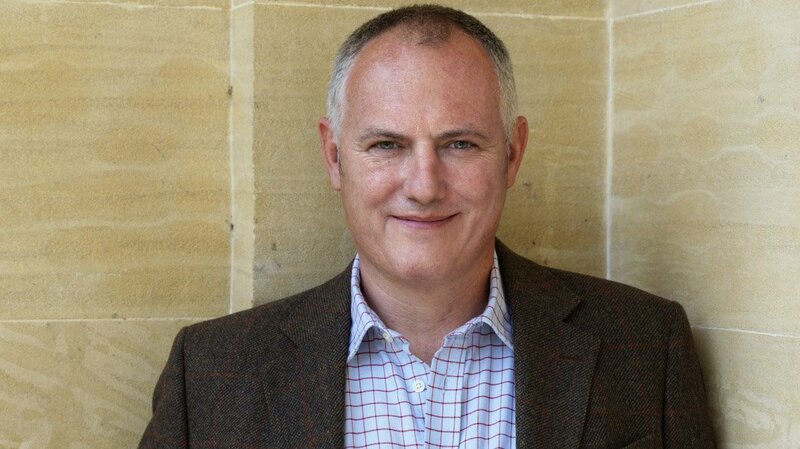 Bruce Hodgson is Founder and Creative Director of Artichoke. 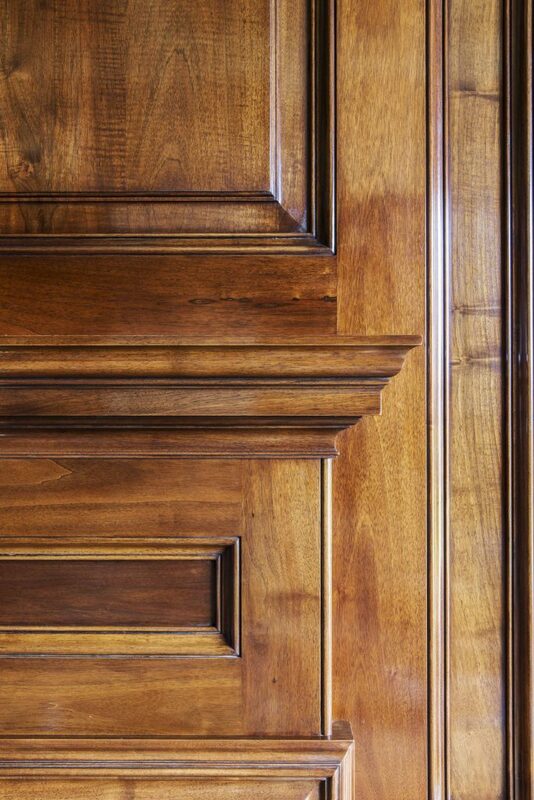 Artichoke is known for designing beautiful bespoke furniture, and architectural joinery for English country houses. 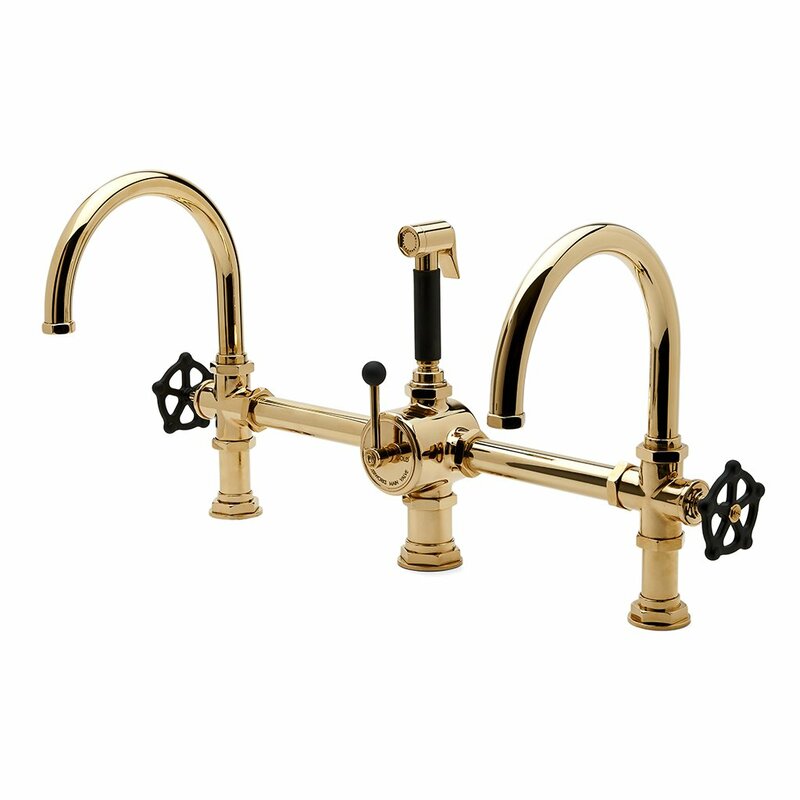 Established in 1993, Artichoke has worked hard to secure a high reputation among clients, and within the British design world. The company is renowned for its meticulous attention to detail and an un-compromising approach to quality. 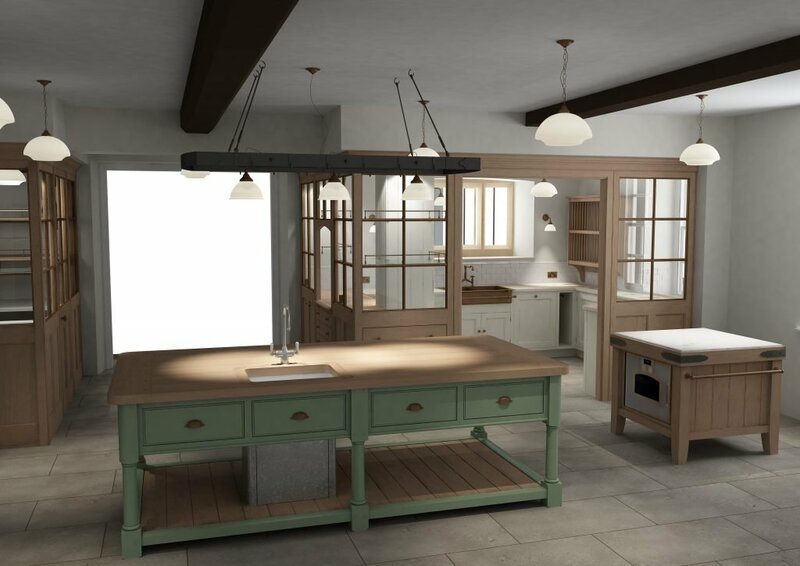 In particular the company has gained a reputation for designing elegant family kitchens for country homes, and well considered back of house joinery such as Butler’s pantries, boot rooms and sculleries. Bruce and his team draw upon their extensive knowledge, and vast database of classical and period detail to produce truly exceptional designs. 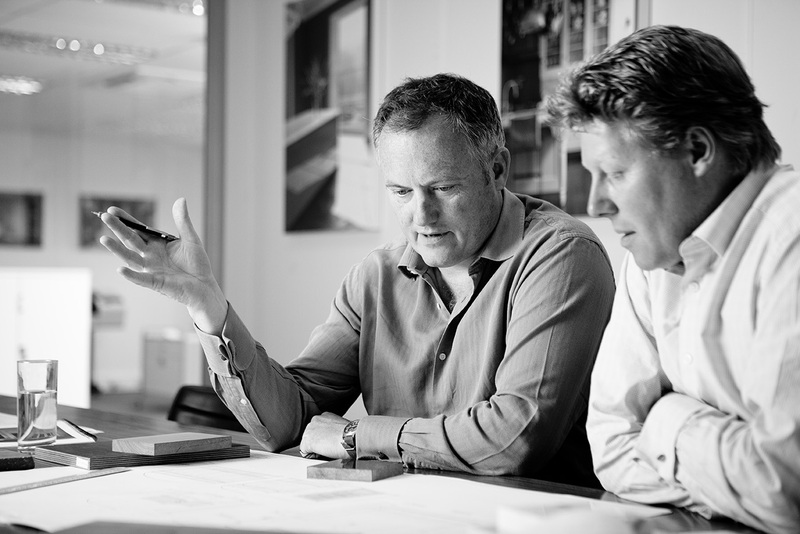 Bruce is passionate about his work and he and his team take huge pride in their ability to really understand how their clients live and use the spaces being designed. 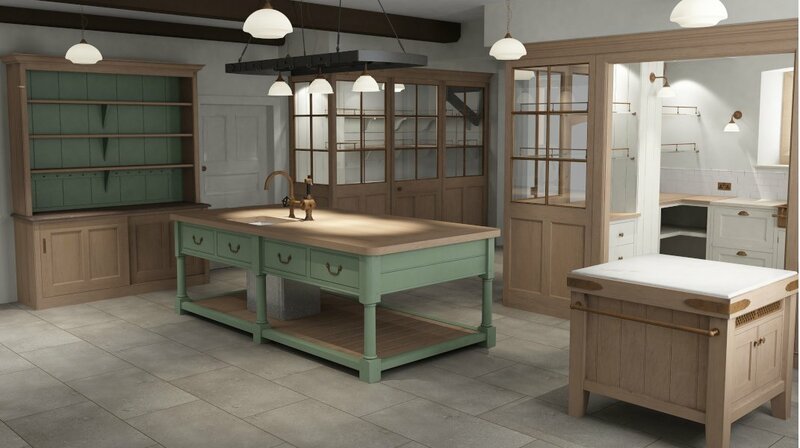 All of Bruce’s designs are made in Artichoke’s own workshops in Somerset, England. 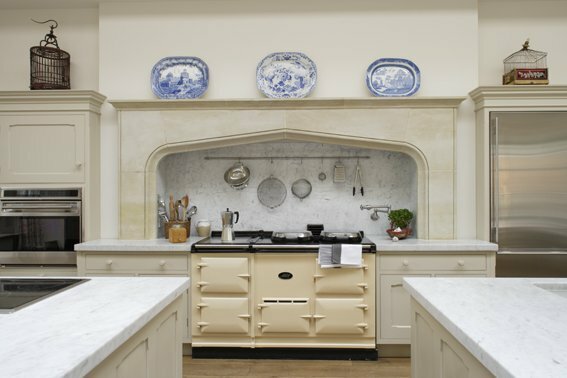 As designers of bespoke kitchens in private country houses, naturally we see our fair share of Aga’s. 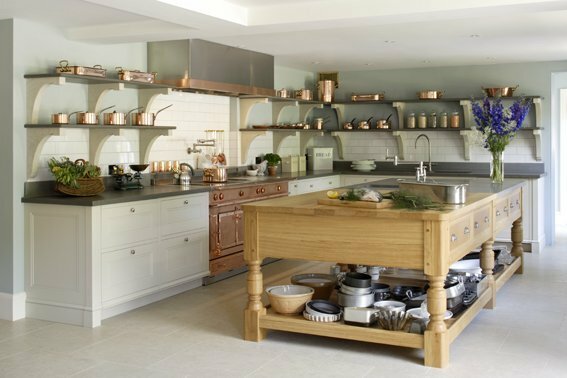 Over the past 25 years, Artichoke has specified and installed all types of Aga to clients, and much of the team even have one at home. Although we have no commercial affiliation with Aga, we thought it would be sensible to write an Electric Aga Review. In this review we will look at how Aga’s have changed and weigh up the pros and cons of the newer electric models. 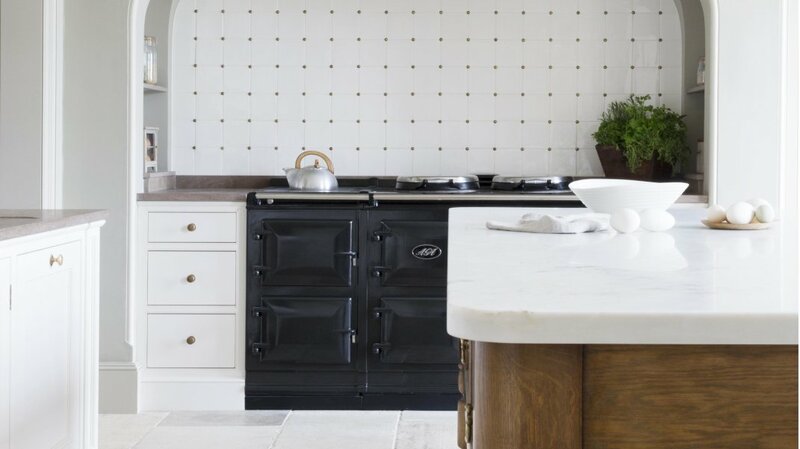 Many of Artichoke’s clients are familiar with Aga’s and even had one in their kitchen growing up (usually oil fired). Those who did are familiar with the core differences between Aga cooking, and more conventional cooking in ovens and hobs. The biggest change to Aga in recent years, has been the introduction of an electric powered heat source. Conventional oil and gas fired Aga’s have a naked flame that heats a central fire brick. This fire brick then distributes heat throughout the surrounding ovens, hot plates and robust cast iron frame. One of the biggest advantages of an electric Aga, is that there is no naked flame. Both the Total Control and Dual Control Aga use an electric element to heat the fire brick instead – amazingly, all of the heat is generated from a standard 13 amp supply. This is much cleaner and substantially reduces the number of times the Aga needs to be serviced. To make a comparison, oil fired Aga’s needs servicing twice a year, a gas fired one once a year, and an electric Aga once every 2.5 years. 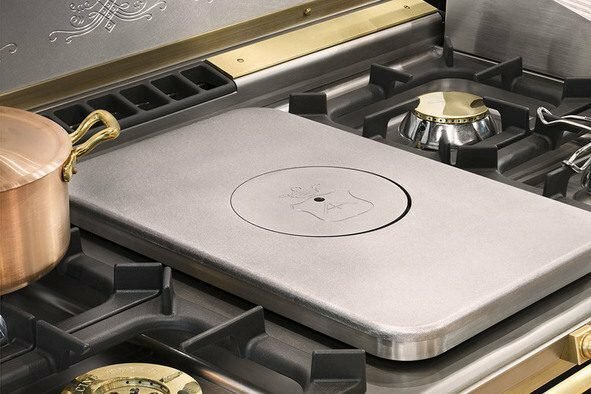 Interestingly, our contacts at Aga Cirencester have suggested that it is worth considering gas over electric if there is a natural gas supply to your house. 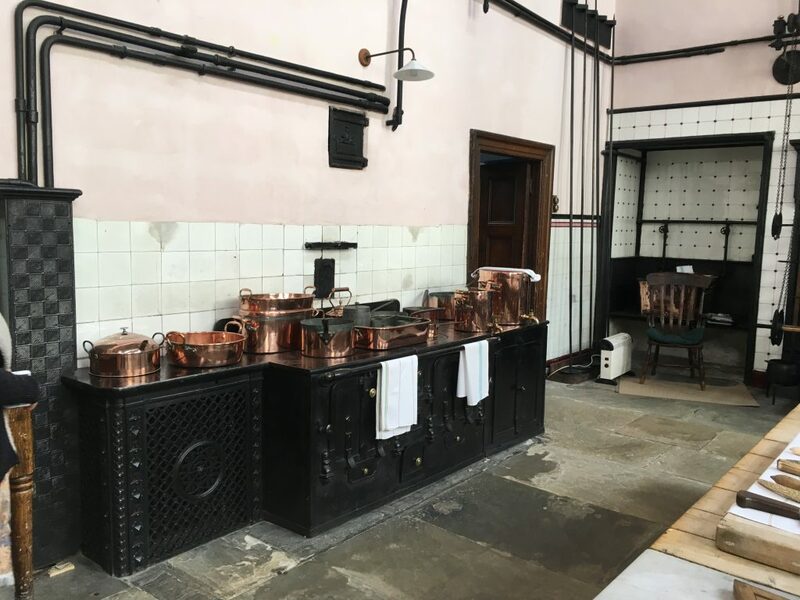 19 September 2018: A reader of this post (Liz H) got in contact with us to add that she felt her electric Aga loses its heat more quickly than the oil fired Aga’s she has had before. She also suggested that the electric Aga she owns takes much longer to get back up to normal heat. This may be something to consider if your family does the majority of its cooking with an Aga. Given that Liz has always had Aga’s, her points are well worth listening to. Electric Aga’s have no need to install complex flue systems to remove dangerous fumes. The only flue required is a smaller one for extracting cooking smells away from the ovens. These smaller flues can exit the building in more convenient ways, giving the electric Aga a major advantage from both a construction and location point of view. 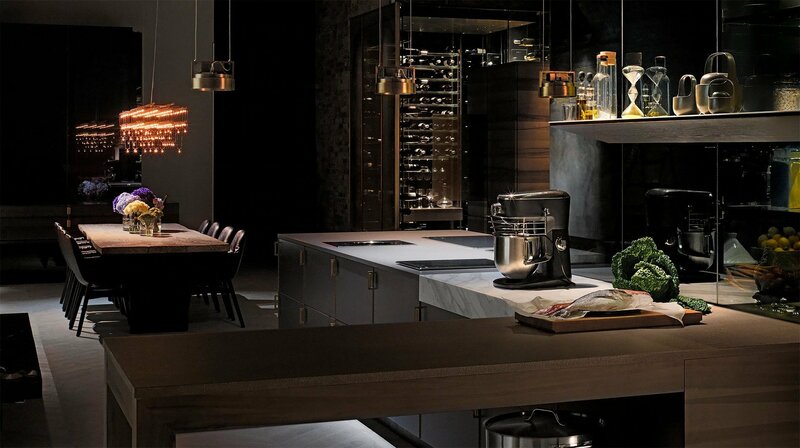 The appliance is easier to install and more flexible to position within the design of a kitchen. It is also easier to install in urban locations, particularly apartment blocks, where flueing is often a lot more complex. 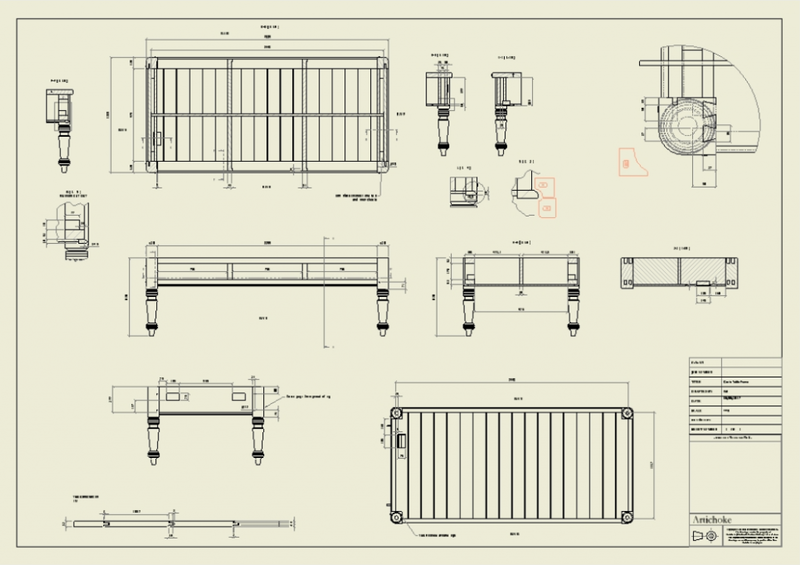 The relatively new electric Aga City 60 has been designed specifically for these environments. 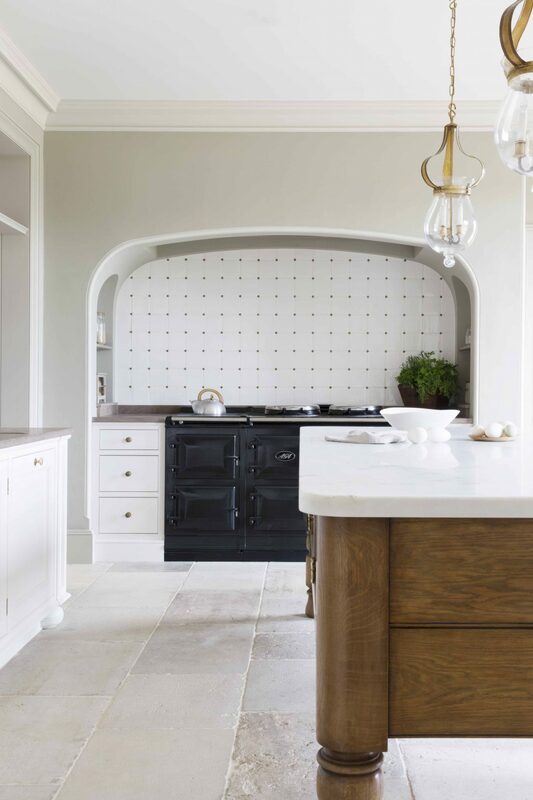 An oil fired Aga installed in an Artichoke designed kitchen in Dorset. 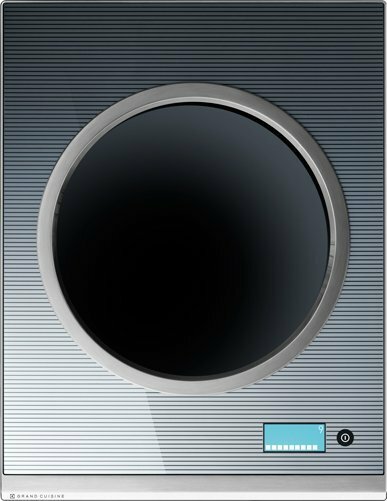 Having controls on an Aga will be an alien concept to many people. Without a naked flame that needs relighting (a tricky task with oil and gas fired Aga’s), the electric Aga can be turned on and off at the flick of a switch. 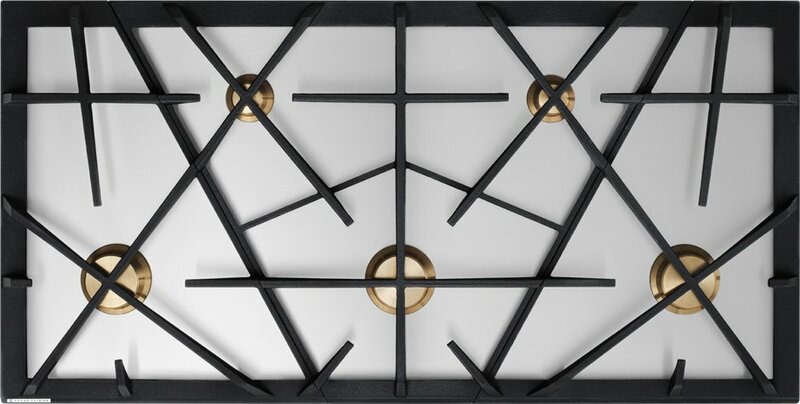 Additionally, they are excellent for seasonal cooking or for properties only inhabited occasionally, as each individual oven and hotplate can be operated independently. The Auto function allows you to automatically pre-set the time the ovens come on. This would be very useful for those who work during the day and only use the ovens in the evening for instance. Although, this feature does not work for the Aga hotplates. The extra control provided by electricity means the ovens can operate at slightly cooler temperatures. As a result, Aga have been able to add an additional oven to their 5 oven model. The ‘slow cooking’ oven is excellent for cooking things like stock, steamed puddings, casseroles, or a leg of lamb. The wonderful constant heat source and delicious moist food, are benefits of all Aga’s, regardless of how they are powered. 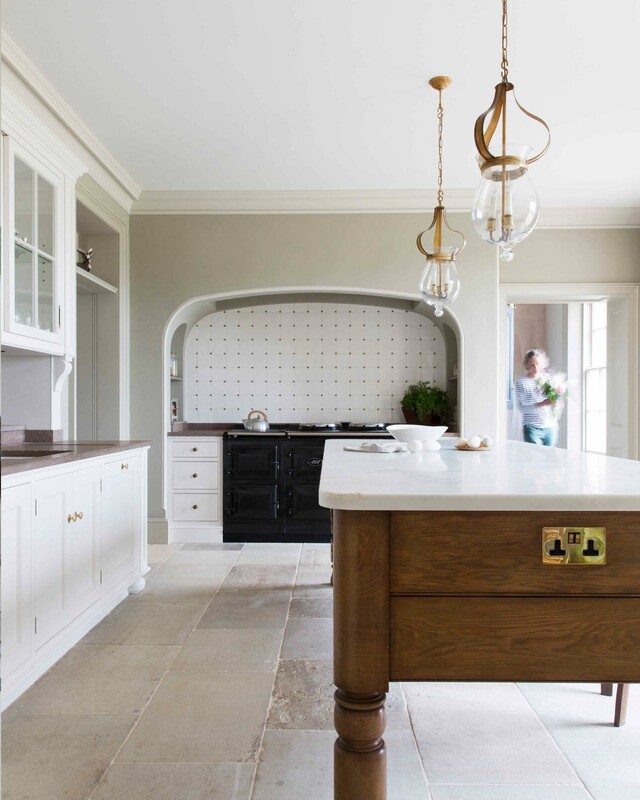 The additional benefits of an Electric Aga over its fossil fuelled counterparts make it a highly attractive option. In short, it was inevitable that Aga would move with the times and introduce an electric powered Aga. While they have had one out for some time, we feel this is the first time they have cracked it. Apart from minor grumblings about lower quality of the cast iron (which may or may not be true! ), we have heard nothing but good things about the electric Aga from clients we have specified and installed them for. 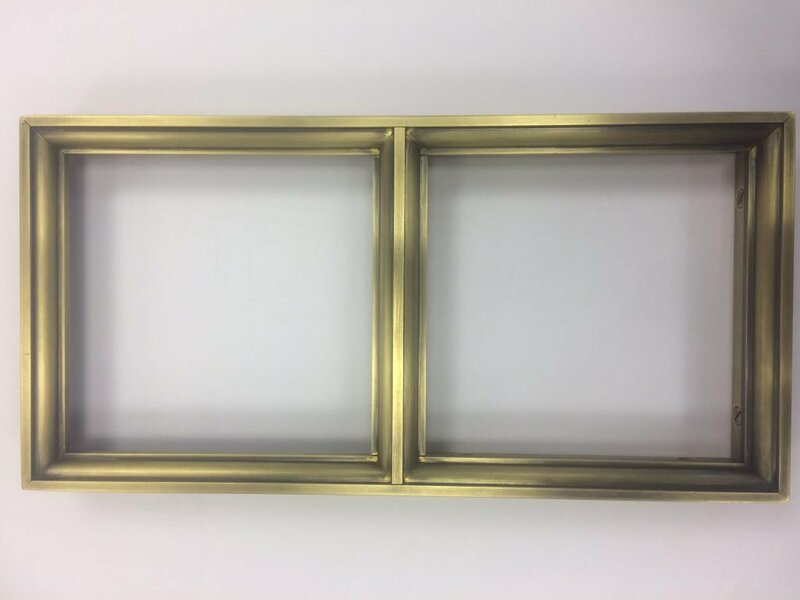 Please call Andrew or Ben on 01934 745270 or email newprojects@artichoke-ltd.com if you’d like to discuss our experience with the Aga Total Control range. Alternatively you can request a copy of our brochure here.